Mileydi Sánchez-Executive Secretary - BECA. The BECA.org Foundation. 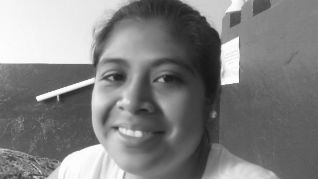 Empowering Youth Education in Nicaragua. Blessings for BECA.org, staff and sponsors that work hard to give opportunities to poor people. I hope God takes care of you every day. My name is Mileydi Sanchez. I studied to become a secretary, and after a year, I gladly finished to start working. I want to share a little about my wonderful experience in BECA.org. I knew about this foundation because a cousin of mine told me about it. She told me she heard on the radio that there was an organization that helped high-school graduated students, so I thought it was the opportunity to study what I wanted, and the requirements were easy to reach. Since I did not have any economical resources, nor did I study at that moment, I was a candidate to get a scholarship in BECA.org. I was happily selected to be part of course one I spent three months on studying computing lessons, which was an amazing experience since I met important and different people from different places. After that, we continued to the next step that was volunteering in a public primary school. Leticia Potosme and I helped to assist kids in a second grade. Working with kids was such a lovely experience. Working in that school, I met a guy who was really important for me, and I also met more friends like Margarita, Natalie, and Alexander. We were very close since we supported each other in hard moments. The final day of the brigade, teachers and students made a special activity for us because we worked hard to help kids on their classes. That was an emotive good-bye party. The next year, I went on my next step that was selecting my technical career. Leticia and I ended up studying to become secretaries. We chose Academia de Ciencias Comerciales to proceed with our studios. In there, I met Maria Acevedo, Ana Jarquín, Mary Joan, Ana Hernandez, and Meyling Jimenez. They were excellent friends. We got very good teachers since we learned a lot in a year. I did not have any complains about the place, for everything was excellent for me. Our teacher, Maura Lopez, was really nice and prepared for each class. After all that process, we got our diploma in 2014, so it was time to look for jobs opportunities. But for me it was difficult to get a job, and I spent two years on doing nothing. I took my resume everywhere, but I did not get positive answers at that time. After all, in 2016 things changed in my life since I got the opportunity to start working for the Ministry of Education in my city. I did my first my interview, and they liked it, so they told me what my duties were. I started working on June 1st, and it has been an amazing experience. The first month, I worked for the Minister of Education who was Oscar Garcia at that time. Then I was moved to Gloria Bersabe School, in which I have been working for six months already. I feel great working for this school since the teachers and students respect me, and now they have become part of my family. I am also acquiring new background that is helping me increase my professional status. This is a short story about that experiences I have gone through in BECA.org, that is why, I have no words to thank you for giving me the opportunity to become in who I am right now. I wish nothing but the best for you all because you opened a lot of doors that are not longer closed to me. Thank you so much.